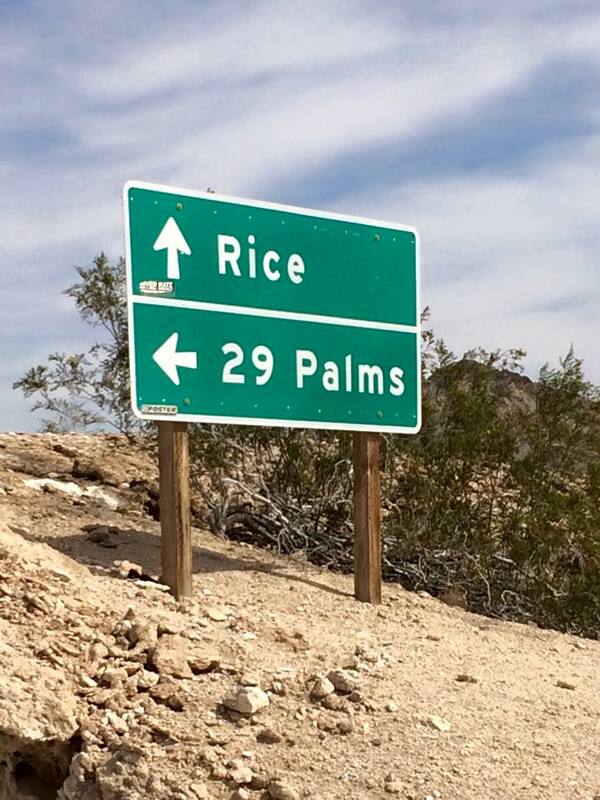 Marine Corps Base Twentynine Palms (often referred to as 29 Palms), located in California, is known for being “in the middle of nowhere.” Many people have learned to dread the idea of being stationed there. This is due to two things in particular: 1) Others sharing information of 29 Palms who disliked their time there, and 2) Not enough information available online to accurately understand 29 Palms. MilitaryByOwner Advertising and Military Town Advisor work to inform military families so that we can prepare ourselves for our next move. Unfortunately, MTA has few reviews regarding 29 Palms at this time. Fortunately, my friend is currently stationed there with her husband, and she was kind enough to give me some information about the area. 29 Palms is quiet and serene. There is minimal traffic, which can be a drastic change for you if you have ever experienced MCB Quantico or Camp Pendleton traffic. “The community is very tight-knit” says my friend Adrienne, “so families and the local military community are very close, and that is what makes this duty station unique!” Since 29 Palms is somewhat isolated in the desert, the community relies more heavily on one another. Base organizations make a strong effort to host events to bring families together. For example, this February has a Father-Daughter dance, a Super Bowl party, Texas Hold ‘Em, and more. They also have a whole host of other events, all which can be found on the Marine Corps Community Services 29 Palms home page. Every PCS move requires you to decide whether you want to live on base or off base. Adrienne recommends trying to live on base first. “Most families here live on base, and since we live so close to my husband’s work, he comes home for lunch almost every day!” However, if you are working in the Palm Springs area and your spouse is working on base, “I would recommend living in Yucca Valley which is about 30 minutes to base and 30 minutes down the hill.” Yucca Valley is more developed. Unlike 29 Palms and Joshua Tree, Yucca Valley has a Wal-Mart, Home Depot, Marshalls, Walgreens, andStarbucks. Joshua Tree National Park, which has miles of park open for you to hike, rock climb, and explore. Many celebrities even visit for a getaway. Pioneertown is near Yucca Valley and is an old rustic town that is a must-see. My friend says to “go eat at Pappy and Harriet’s” while you are there. Palm Springs/Rancho Mirage areas is a desert oasis with green golf courses and high-end shopping. It is the perfect trip you need to spruce up or treat yourself. Within just three short hours, you can visit Las Vegas, San Diego, and Los Angeles. In fact, many of the 29 Palms Marine Corps Ball are hosted in Las Vegas! I encourage you, regardless of where you are stationed, to share what you know on Military Town Advisor. If you've used their website before when preparing to PCS, you know how wonderful it is to have inside information on your new duty station and how devastating it is to have none. MTA allows you to share reviews of housing, restaurants, schools, neighborhoods, and more. Every tip you share could help someone have a better experience with their PCS! Do You Know About These Resources for Military Kids?